There are total one box. We paid the duty and broker fee. 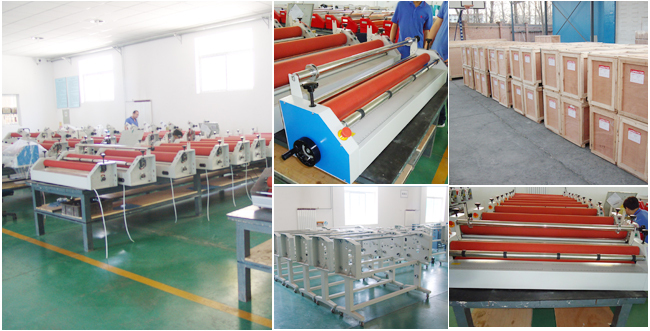 You can come to our show room to check the wide format laminator machine. or call us at 626-342-7605 for any question. 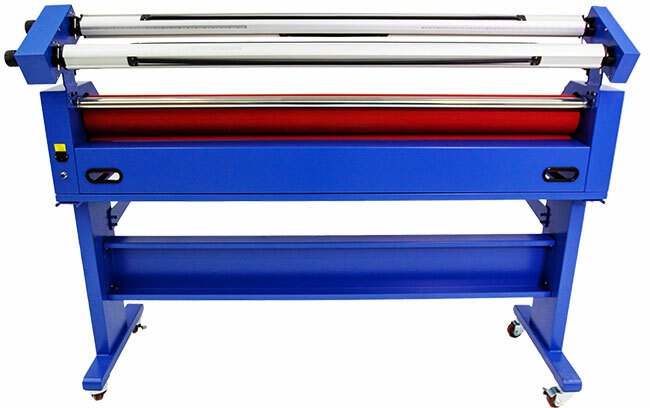 This is a cold roll laminator capable of mounting and laminating pressure - sensitive graphics up to 63in wide. Designed for ease-of-use and minimal maintenance, it is ideal for new users wanting to create professionally - finished wide format graphics. 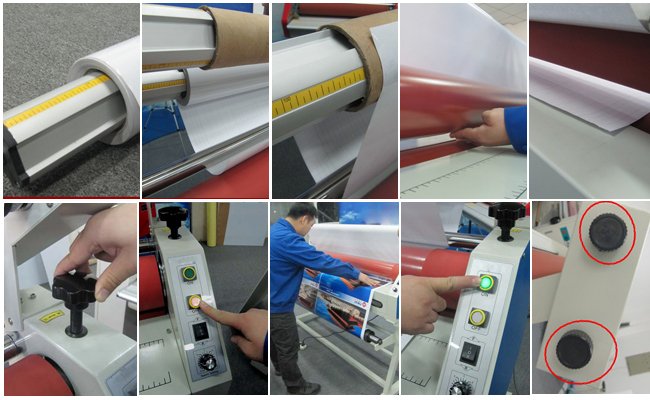 This is semi - auto cold laminating machine(Automatic take - up rolls of back paper), with functions of single sided cold laminating and mounting by electric. A perfect fit for entry level customer, who is looking for an affordable and professional cold laminator for their projects. This new model can be widely used for pre - masking vinyl graphic, mount prints on substrate, over laminating inkjet prints and so on. 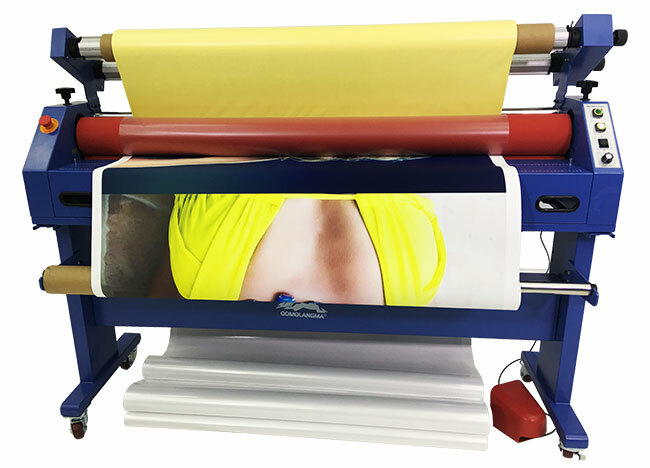 Remark: Trimmer cutting function for your option, if you want this function, please choose "with trimmer"
Cold roll laminators are the perfect option for someone looking to enter the wide format graphics market. 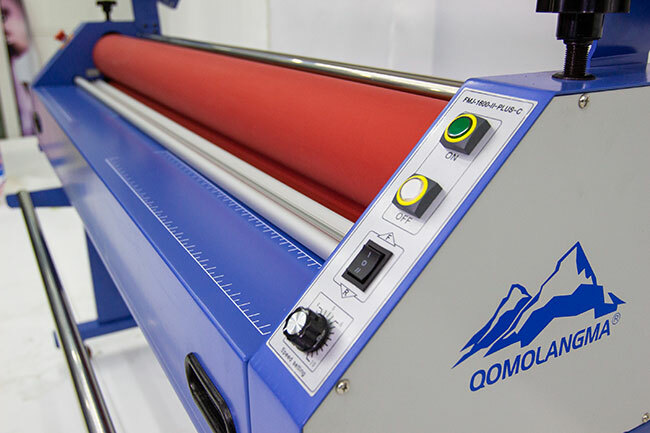 Equipped with all of the features needed to produce most applications, Qomolangma cold roll laminator promises quality, performance and safety – at an affordable price. • Good color reducibility and light transmittance, free of bubbles and snowflake point! •Easy operation panel: Forward, Backward, Foot Pedal Control and various speed adjustments, Emergency Stop Button. • Adopt new - style aluminum alloy supporting roller. • It is operated conveniently and high efficiently - It realizes continuous laminating and longer picture laminating. Realize automatically stripping film and collecting liner paper through the rotary force of the upper and lower roller. 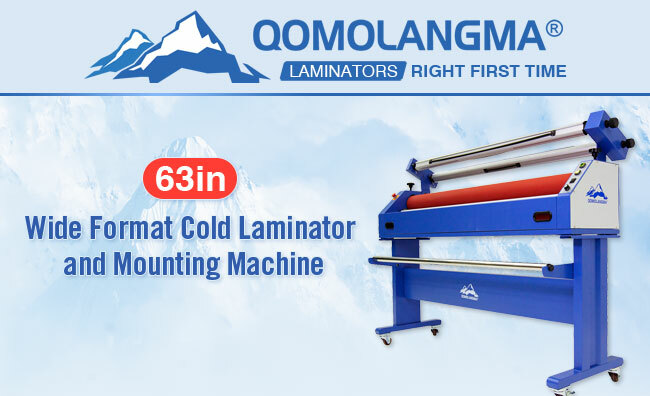 Making It Better: QOMOLANGMA Laminator, the ideal partner for photographers, printers, and sign-makers! QOMOLANGMA a USA registered trademark owned by Sign-in-China.com. We have our modern distributing center located in Los Angeles, California. 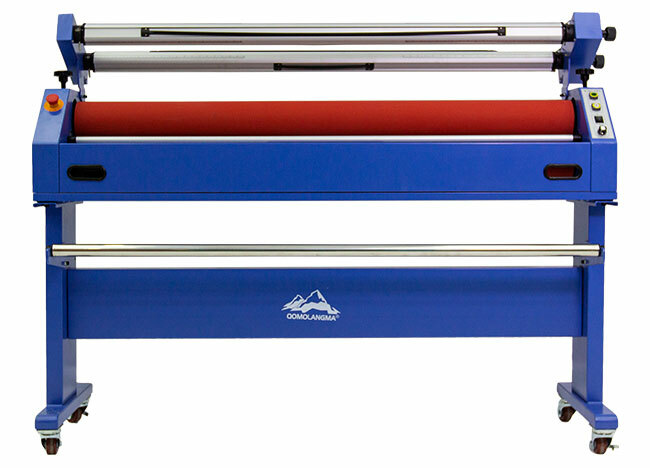 All our equipment are designed and engineered in USA and assembled in our factory in China. We provide excellent service and support to our clients. 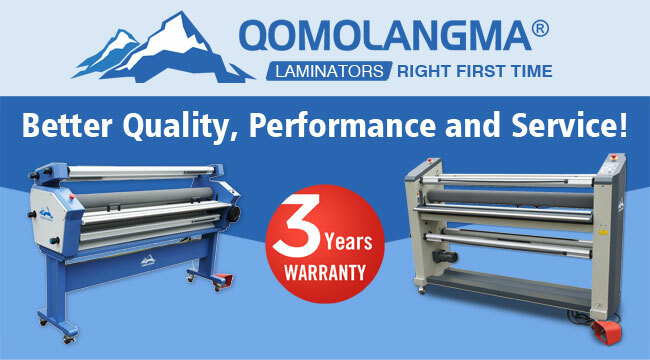 All QOMOLANGMA equipment come with 3 years’ warranty and life - time free technical support. 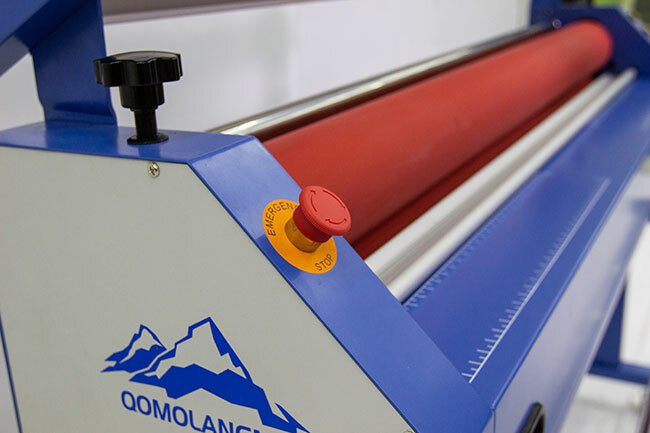 As the QOMOLANGMA laminator was established with the vision of creating a brand synonym to the best-in-class wide format finishing systems. All QOMOLANGMA products are featured by innovative technology, competitive pricing, quality control. 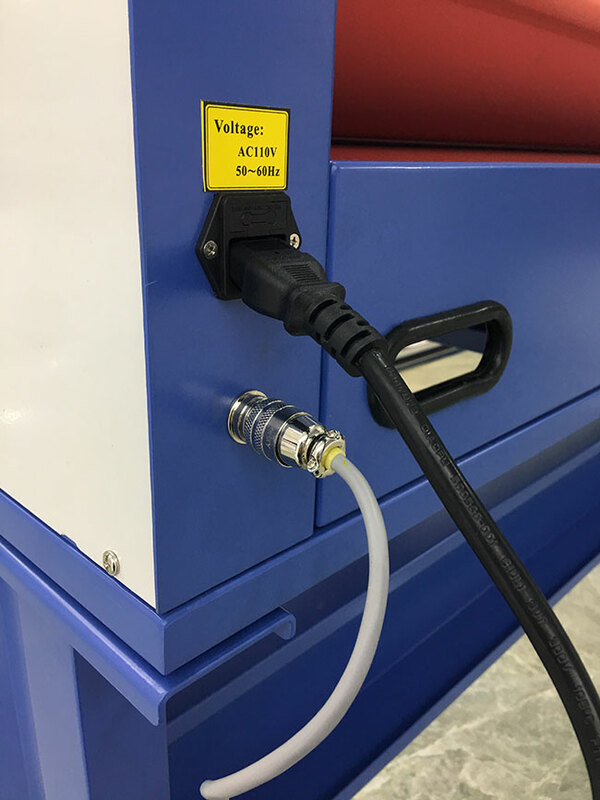 Every product is made from a series of processes from down-to-earth investigation, professional design, cyclic test, customer feedback and upgrade. Electric wiring: the design of electrical structure is humanized and easy to operate. Sign & display, window graphics, banner, poster, POP, vehicle wrapping, wallpaper, cutting sheet sticker, labels & decals, proof, POS display, package, sign board, flyer, document finishing, floor graphics, rigid and flexible indoor displays, board and many more.